MARAWI, PHILIPPINES (June 10, 2017) – Since the end of May the army of Philippines has been fighting against the so-called Islamic State in the big city. Now it suffered great losses. The Philippine government has asked US special forces for help. Philippine military has suffered losses in the struggle for the city of Marawi which is besieged by Islamists. 13 soldiers were killed and 40 other soldiers were wounded in battles on Friday, as the army reported. This many government soldiers have never died in a single day since the beginning of the fighting. Since 23 May, Marawi has been besieged by Islamists who belongs to the so-called Islamic State. The Philippine President Rodrigo Duterte then declared martial law and imposed the military to attack the IS with tanks and artillery. Islamists still keep some parts of the city under their control. Around 1000 inhabitants are trapped in these areas and they were abused as human shields. The Philippine military said they were making progress. They did not want to destroy any mosques in which some of the Islamists had entrenched themselves. The government of Philippines will receive military aid from the USA. The US special troops will support the government with technical support such as reconnaissance aircraft over Marawi. But the American soldiers will not be involved directly in the fighting. They have only a supportive function in the battle. Since the beginning of the fighting 20 civilians, more than a hundred of IS and 58 government soldiers have died. 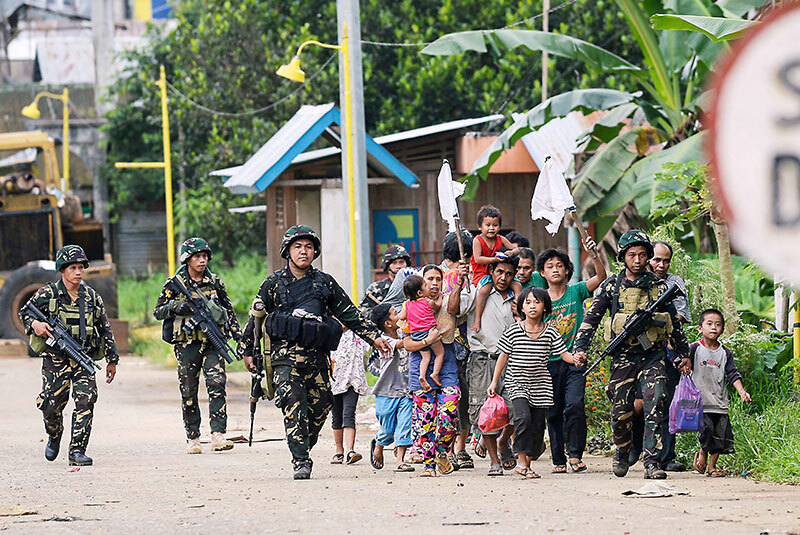 Many of the approximately 200,000 inhabitants of Marawi are on the run. Muslim insurgents have been fighting the government for four decades. More than 120,000 people have already been killed in these conflicts. On the island of Mindanao, which is located in the south of the Philippines, on which Marawi is located, members of Islamic groups regularly commit attacks in their struggle for independence. 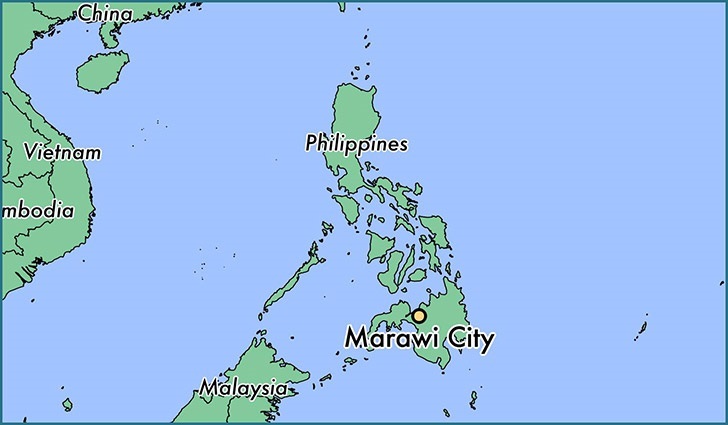 In Marawi the majority of the inhabitants are Muslim.